potentially nervous: nuage also seems to 'think' if he can't see me, i can't see him. 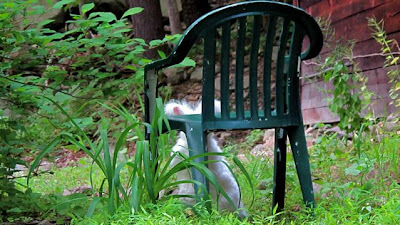 nuage also seems to 'think' if he can't see me, i can't see him. Such a funny Nuage. I used to have a bunny named Mr. Brown who would "hide" by sticking his head in a willow tunnel! they all think that, i believe.